On August 19, 1953, pro-Shah supporters in Iran staged a coup on the Iranian government that was planned, organized and supported by the United States Central Intelligence Agency (CIA) and British Intelligence. Iranians lived under the brutal rule of Mohammad-Reza Shah Pahlavi for the next 25 years until the Iranian Revolution in 1979. Though the CIA-led coup in Iran was the first time the agency overthrew a democratically elected government, it wasn’t to be the last. In 1954, the CIA orchestrated a coup against the democratically elected president of Guatemala. In 1963, the CIA orchestrated the coup in Iraq that eventually brought Saddam Hussein and the Ba’athist Party to power. In 1973, the CIA orchestrated a coup against the democratically elected leader of Chile. In every case, those who were helped into power instituted regimes of terror and violence. These regimes prompted bloody revolutions, or worse, US-led invasions. Either way, hundreds of thousands of people have been killed due to US foreign policy. 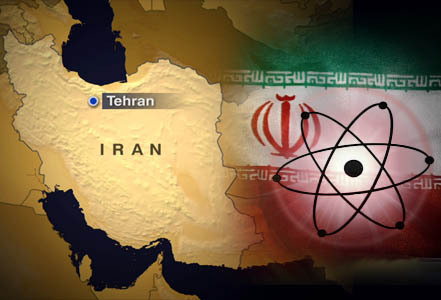 Who will blink first in Iran’s nuclear poker game? Netanyahu managed to convince the world that Israel is on the verge of a preemptive war to try to foil Iran’s nuclear program. His speeches on a second Holocaust and Amalek, the acceleration of military preparations, the exercises on the Home Front, the distribution of gas masks and even the stockpiling of dollars by the Bank of Israel all suggest that Israel is preparing to strike Iran, as it did when it attacked the nuclear plants in Iraq and Syria. The preparations for war give Israel unprecedented international significance. U.S. President Barack Obama, who kept his distance at the beginning of his tenure, is now airlifting senior officials to ask Netanyahu to hold back. When he wanted to deal with the Palestinian problem, Obama made do with a retiree without authority in the form of George Mitchell.